Welcome to Blue Star Theatres! Blue Star Theatres is a collaboration between Theatre Communications Group and Blue Star Families. The first launch of the program was September 28, 2012, with 22 theatres participating. When the second launch event was held in Denver on October 19, there were 57 participating theatres. 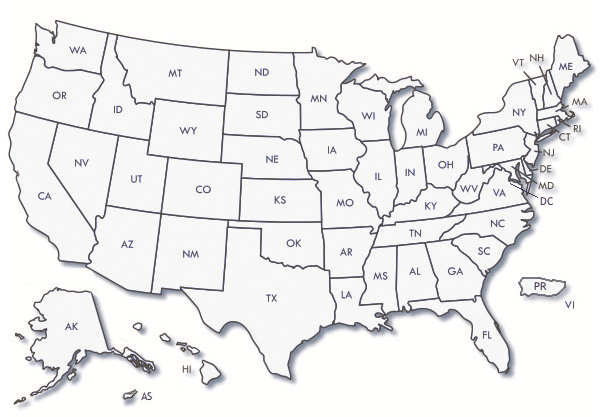 There are currently 167 participating theatres spanning 42 U.S. states and territories. Through Blue Star Theatres, we plan to help better connect theatre offerings to military personnel across the United States. This initiative is intended to recognize the contributions of service families, to build stronger connections between the theatre community and military families in communities all across the country, and to help in whatever small way we can to aid service people and their families as they seek to be integrated into the lives of their communities. Each participating Blue Star Theatre is offering discounted or complimentary admission to all military personnel and their families, as well as veterans. Education programs and other theatre opportunities may be discounted as well. Please see the map below for participating theatres and please check back frequently for updated offerings. TCG is pleased to periodically offer Blue Star Theatres in good standing the ability to apply for a grant toward deepening their engagement with local military families. Additional details will be posted here whenever there are opportunities. Click on a state for a list of participating theatres.